When we think of taxidermy, we might think of hunter’s cabins or old, creepy houses with a collection of dusty trophy heads hanging on a wall. But there is so much more! 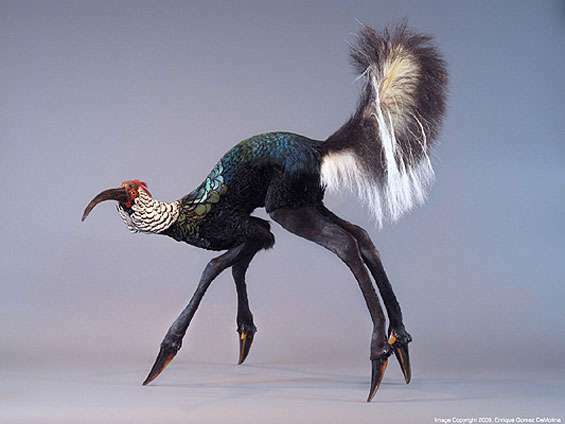 For the last century or so, creative taxidermists inspired by Greek Mythology and stories such as Alice in Wonderland, have decided to bring fantastical creatures and their like to life in 3-D, using a mix of skin and feather from various animals. Let’s have a look in our cabinet of curiosities for some of the most interesting creatures created and the stories behind them. For centuries long, the legend of the mermaid has kept explorers of the sea vigilant in the hope of capturing this mythical creature. 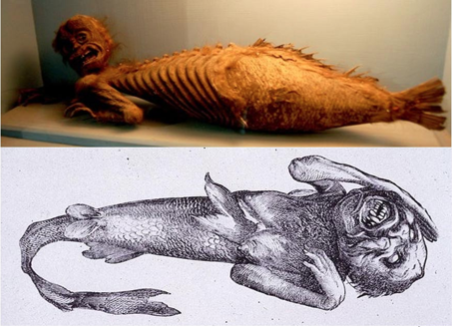 Barnum’s travelling circus introduced the Fiji Mermaid to the world: half-fish, half-monkey. 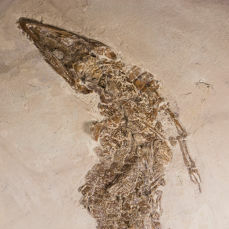 Fishermen in Japan and the East Indies had long constructed these “hybrids” by stitching the upper bodies of apes onto the bodies of fish, which were occasionally used for religious purposes. An American sea captain called Samuel Barrett Edes bought the “mermaid” from Japanese sailors in 1822, about 20 years later it ended up in Barnum’s travelling circus. 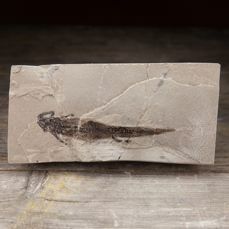 It was so popular, that others copied it and it became a staple in many “Cabinets of Curiosities”. 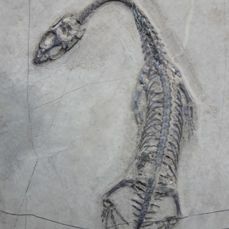 Even though it looks like an obvious hoax, which is easy to say in hindsight, many people still fooled many onlookers, no doubt adding to the mermaid mythology. 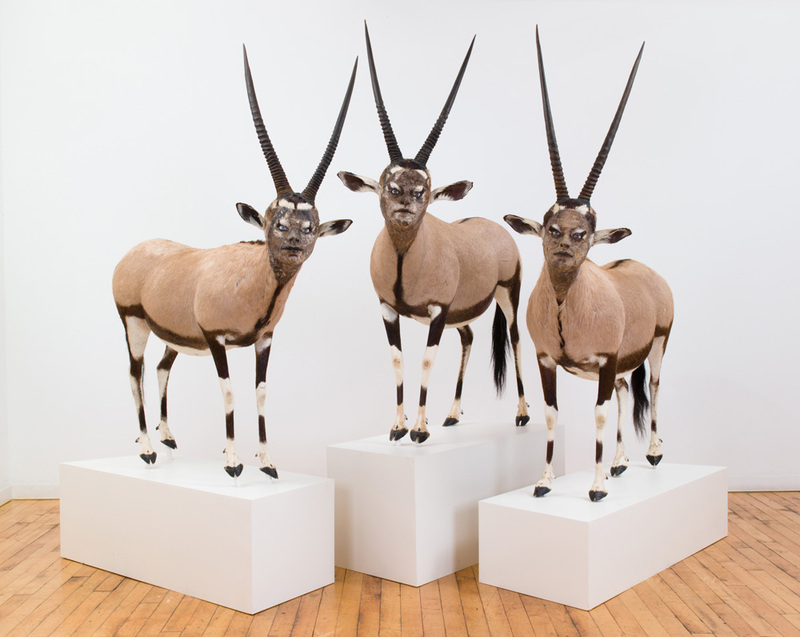 In 2005, New York artist Sarina Brewer started a new pop-surrealist art genre, called “Rogue Taxidermy”. It marked a significant resurgence in the USA - not just of taxidermy, but of mythical taxidermy, also known as Chimaera taxidermy. 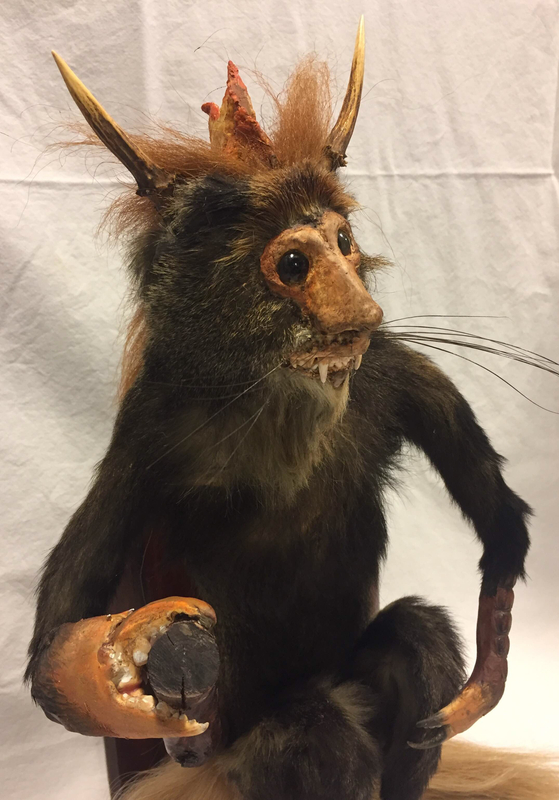 It is an art genre characterized by mixed media sculptures containing conventional taxidermy-related materials that are used in an unconventional manner. This doesn’t mean there must be animal components in the sculpture, for there are a lot of materials such as faux fur that also constitute taxidermy-related. 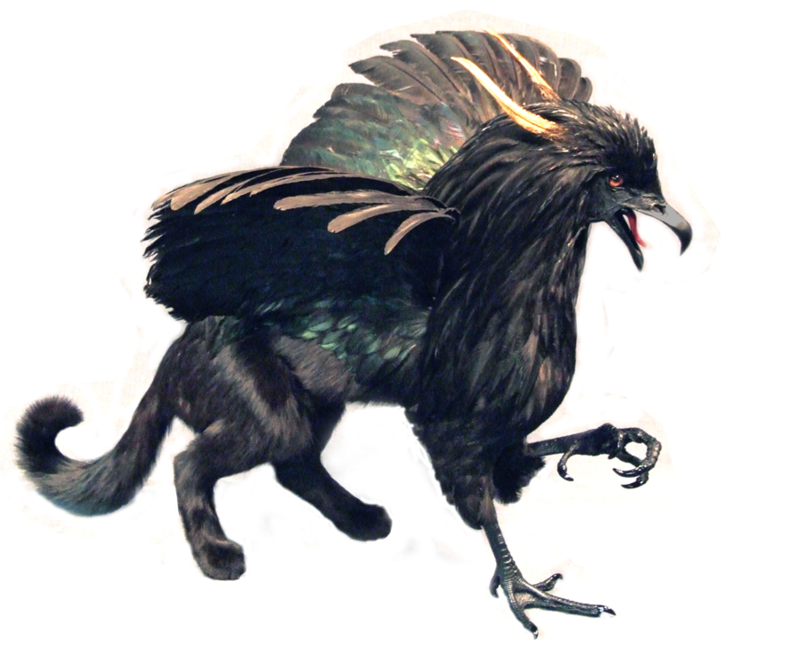 One of the sculptures of Sarina Brewer, Obsidian, is a modern take on the Griffon from Alice in Wonderland: half-vulture, half-cat. 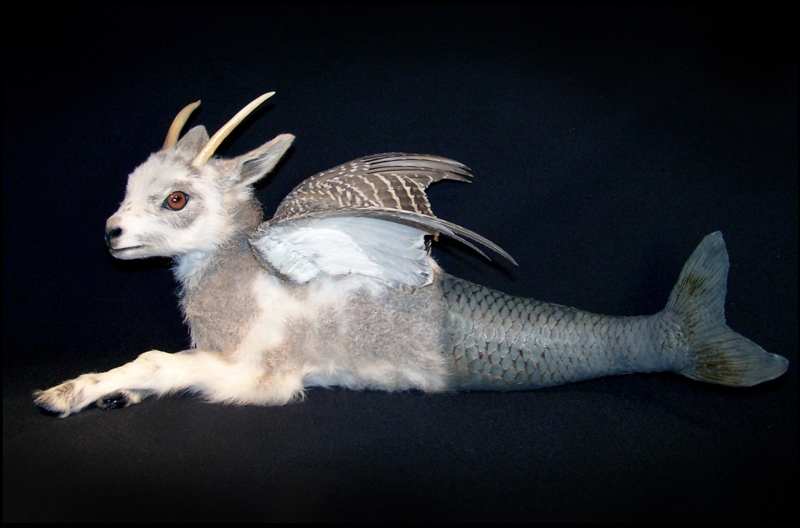 Her winged half-goat, half-fish is reminiscent of Barnum’s Fiji Mermaid exhibits. Another modern taxidermy artist is Enrique Gomez de Molina, based in Miami. By creating beautiful, yet disturbing collages of animal parts, he wants to raise awareness to the dangers faced by multitudes of species through nuclear and chemical waste, deforestation and human invasion. Taking it another step further, Brooklyn-based artist Kate Clark adds human-like faces to animal bodies, exploring the overlap that exists across our cultures and within our histories - to investigate the characteristics that separate us from the animal kingdom, but more importantly, which unite us. 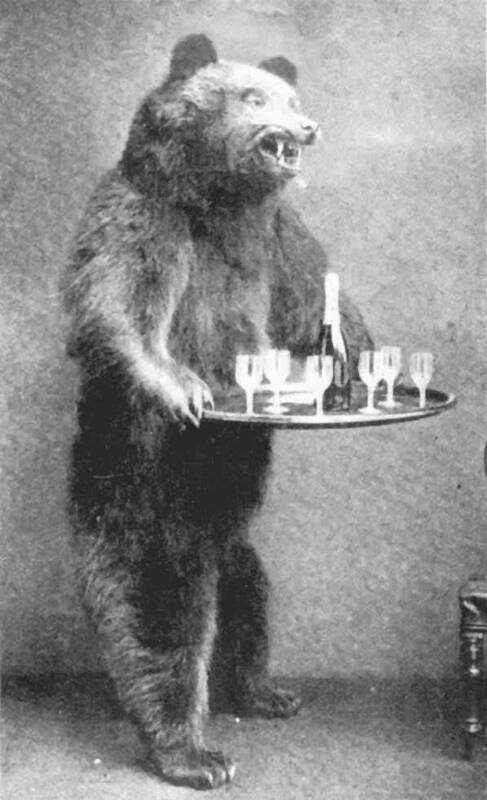 Within the last weeks, here at Catawiki’s Cabinet of Curiosities Taxidermy auction, similar creations have been sold. Keep an eye on this auction held towards the end of every month for all of these weird and wonderful creatures. 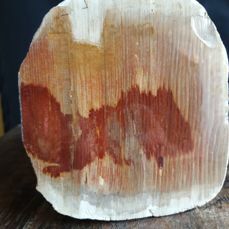 At Catawiki, you’ll be surprised every week with the impressive selection of special objects we have on offer. Create your free account today and explore our weekly auctions curated by our team of experts.